Dentistry has changed significantly over the years and at Smile Street our dentists and friendly staff want to show you that modern dentistry is actually not bad! It’s about us understanding your needs and showing you how beautiful your smile can be. We welcome patients from Coolangatta, Murwillumbah and nearby areas. Our practices are designed to make your experience comfortable and educational. As you enter the practice you’ll feel at ease in our spacious environment and you’ll feel well looked after with the state-of-the-art technology. The fine details and clean lines were established to reflect our goal of exceeding expectations. It is our mission to ensure that every patient is treated with utmost respect and care. We want to enhance or create natural smiles with high-quality cosmetic and health-centred treatment options. Every patient should be greeted with a smile and leave with a smile because they are thoroughly satisfied with the exceptional quality of care that they have received. With our focus on educating patients we know that patients will leave more educated about their dental health and the options that they have. Modern dentistry can be overwhelming with all its choices, but we take the time to ensure that patients understand what’s going on and feel confident in their decisions. Our patients are our top priority and we value establishing strong personal relationships with them. The dentist is not everyone’s preferred place to visit and we understand that. Dentistry can conjure up dental anxiety and at Smile Street we pride ourselves on the calming environment and gentle personality of all our staff. This focus on creating a comfortable environment allows us to treat those suffering from dental anxiety such as children. We offer options for sedations such as nitrous oxide and oral sedation to ensure a comfortable experience for patients. We know that each of our patients is unique and we endeavour to reflect that in their treatment. 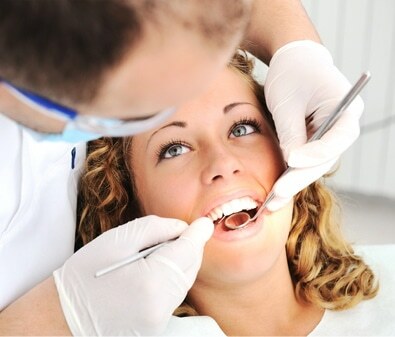 We believe that dental treatment improves your smile, but more importantly it can improve your self-confidence. With just a few short visits and our state-of-the-art technology, your cosmetic concerns can be alleviated. We have affordable payment plan options that make it a lot easier to make that smile dream a reality! As your child’s adult teeth develop, they can potentially erupt into the wrong position due to poor muscle function or habits. At Smile Street we offer an early interceptive treatment option called Myobrace® to help correct these habits and as such improve the cosmetic result for your child! Contact the Smile Street dentists today by calling or completing our online form to schedule your personal cosmetic dentistry consultation.